• and volumes of solids of revolution (using disks and washers). • and area and arc length for polar curves. • and techniques for determining whether an improper integral converges or diverges. 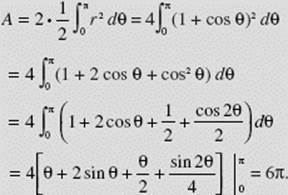 (3) set up the definite integral that is the limit of the Riemann sum of n areas as n → ∞. See Questions 1,5, and 10 in the Practice Exercises at the end of this chapter. where we have taken into account that f (xk) Δx is a negative number if c < x < d.
See Question 11 in the Practice Exercises. See Questions 3 and 13 in the Practice Exercises. See Questions 4, 6, 7, and 9 in the Practice Exercises. 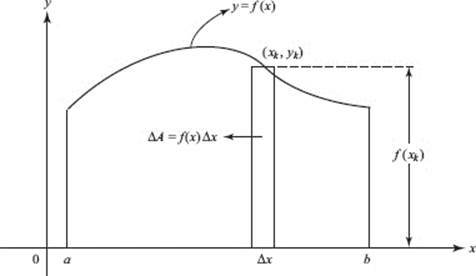 • The area bounded by the x-axis and this arch of the cosine curve is symmetric to the y-axis; hence it is twice the area of the region to the right of the y-axis. 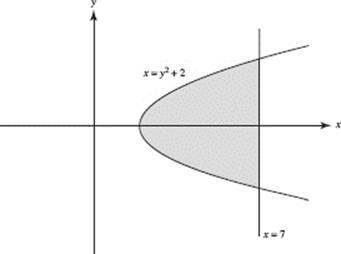 • The area bounded by the parabola and the line is symmetric to the x-axis; hence it is twice the area of the region above the x-axis. • The ellipse is symmetric to both axes; hence the area inside the ellipse is four times the area in the first quadrant. 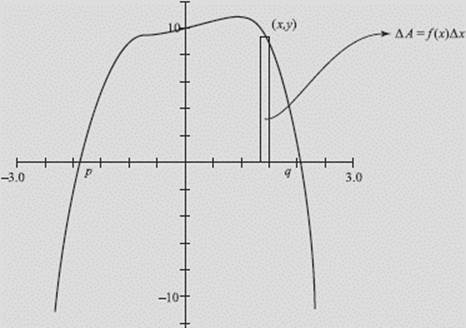 The calculator is especially useful in evaluating definite integrals when the x-intercepts are not easily determined otherwise or when an explicit antiderivative of f is not obvious (or does not exist). SOLUTION: The integrand f (x) = e−x2 has no easy antiderivative. The calculator estimates the value of the integral to be 0.747 to three decimal places. In Figure N7–5, find the area under f (x) = −x4 + x2 + x + 10 and above the x-axis. which is accurate to three decimal places. 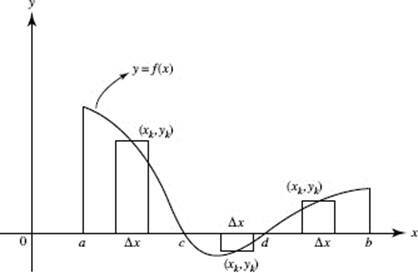 If x and y are given parametrically, say by x = f (θ), y = g(θ), then to evaluate we express y, dx, and the limits a and b in terms of θ and dθ, then integrate. Remember that we define dx to be x ′(θ) dθ, or f ′(θ) dθ. See Questions 14, 15, and 44 in the Practice Exercises. We have assumed above that f (θ) 0 on [α, β]. 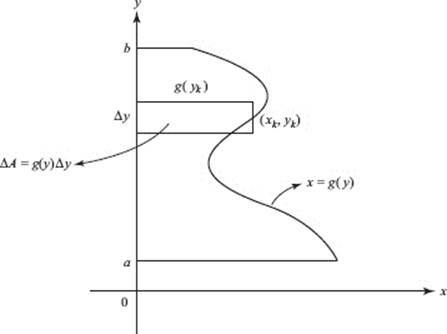 We must be careful in determining the limits α and β in (2); often it helps to think of the required area as that “swept out” (or generated) as the radius vector (from the pole) rotates from θ = α to θ = β. It is also useful to exploit symmetry of the curve wherever possible. 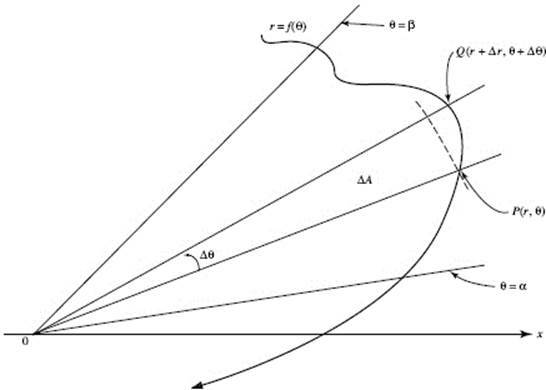 The relations between rectangular and polar coordinates, some common polar equations, and graphs of polar curves are given in the Appendix. 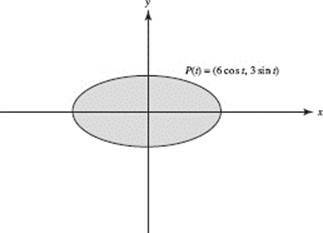 Find the area inside both the circle r = 3 sin θ and the cardioid r = 1 + sin θ. 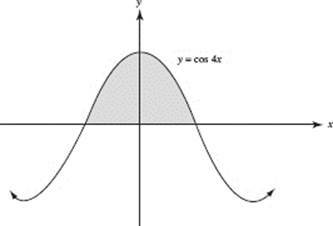 SOLUTION: Choosing an appropriate window, graph the curves on your calculator. See also Questions 46 and 47 in the Practice Exercises. 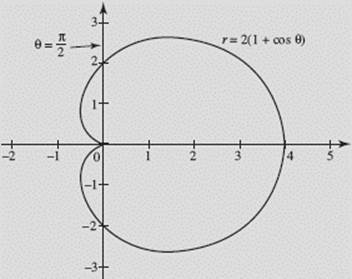 Find the area enclosed by the cardioid r = 2(1 + cos θ). 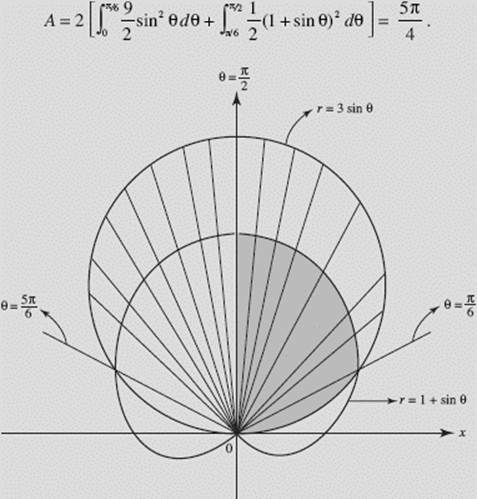 SOLUTION: We graphed the cardioid on our calculator, using polar mode, in the window [−2,5] × [−3,3] with θ in [0,2π].